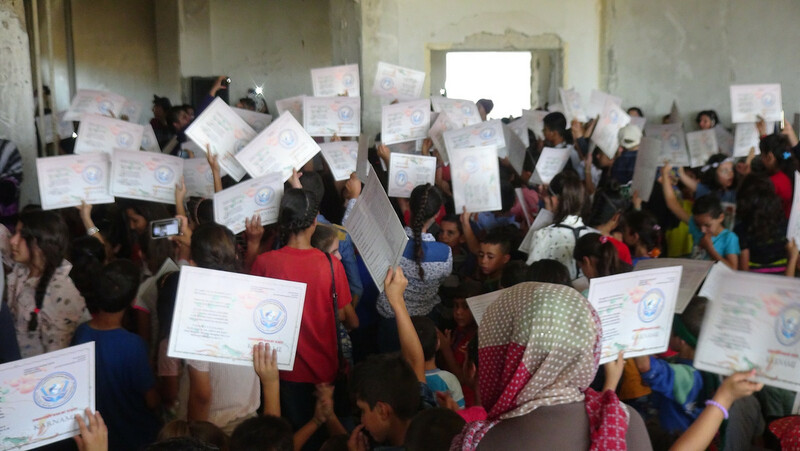 The displaced children of Afrin have received their report cards today. 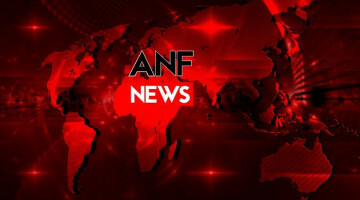 Democratic Society Education Committee (KPC-D) has organized events to mark the the end of the 2017/2018 school year in Til Rifet, Ehrez, Fafin, Kefernaya districts of Shehba Canton and Sherawa district of Afrin. 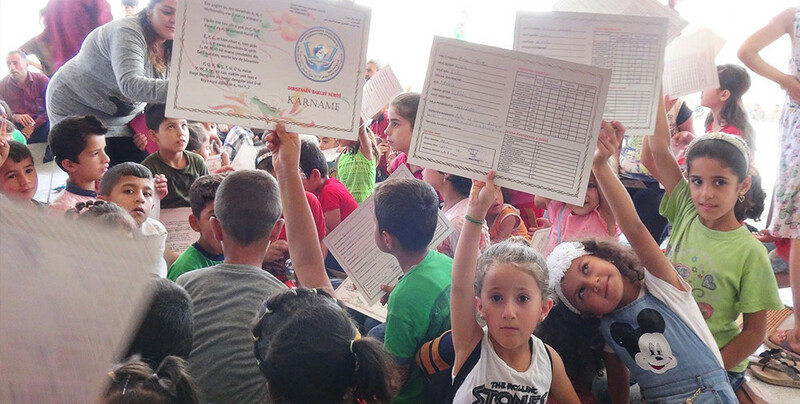 Thousands of pupils attended the activities where report cards were distributed. 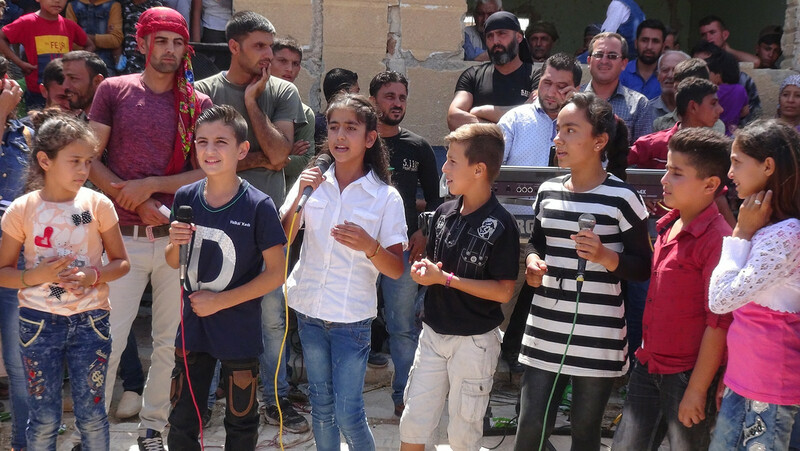 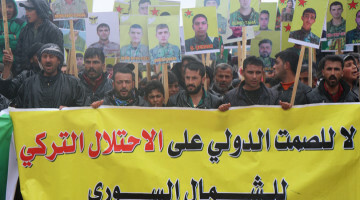 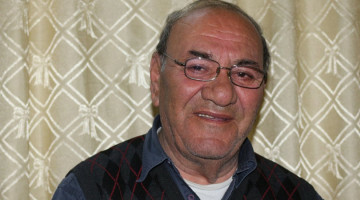 During ensuing activities, pupils read poems attributed to the Resistance of the Age in Afrin, followed by a cultural program in which music and folklore groups participated.